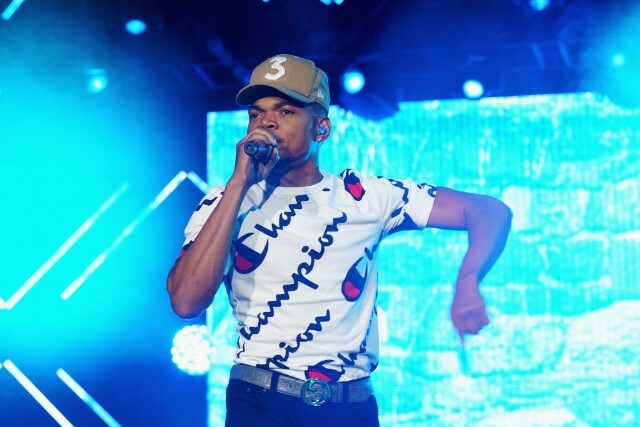 Chance the Rapper will be on tonight’s Late Show With Stephen Colbert as a guest and musical act. He’ll premiere “never-before-heard” songs on the show, according to the Late Show Twitter account. New York City-based band Thirdstory announced they will be providing backup support for Chance’s performance. Chance the Rapper is no stranger to Stephen Colbert: Earlier this year, he performed a cover of the Arthur theme song with Ziggy Marley and Late Show bandleader Jon Batiste on the program. Just last week, he made a surprise cameo during Colbert’s hosting gig at the Emmys. For curious fans looking for a preview before the show, Chance’s Instagram post from last month, featuring the rapper jamming to new music, may be a good indicator of what to expect on tonight’s program.